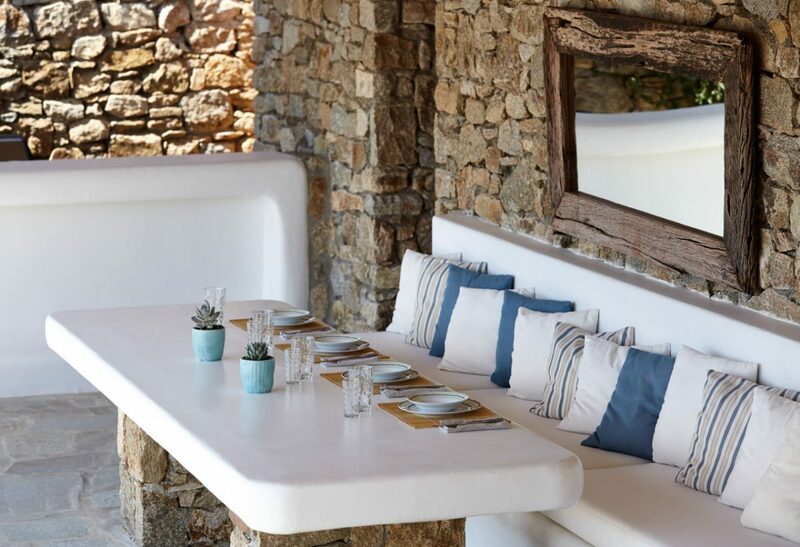 In the most privileged location of Elia in Mykonos is situated a contemporary summer Residence with fantastic where white color, stone and water are the dominant characteristics. 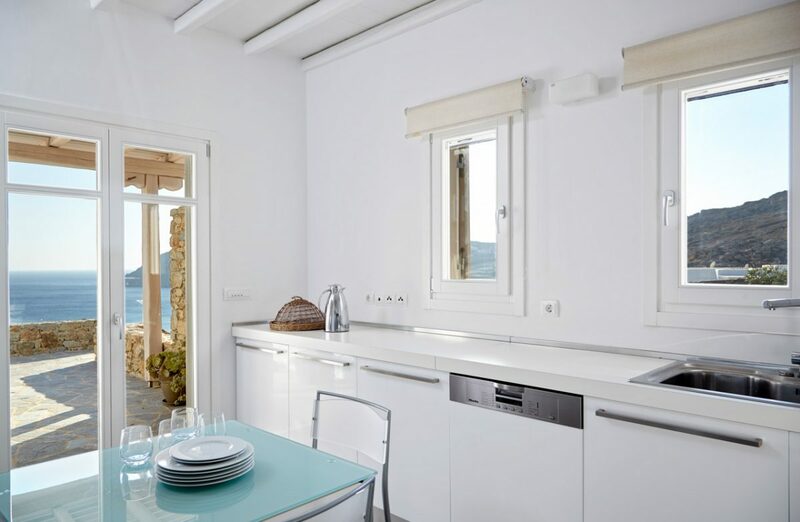 The 6 bathrooms are made of polished cement with smooth curves and light colours. 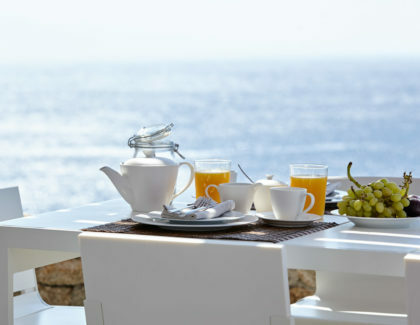 The symphony of colours of the sea and the sky changes during the day and comes to its peak sunset time. 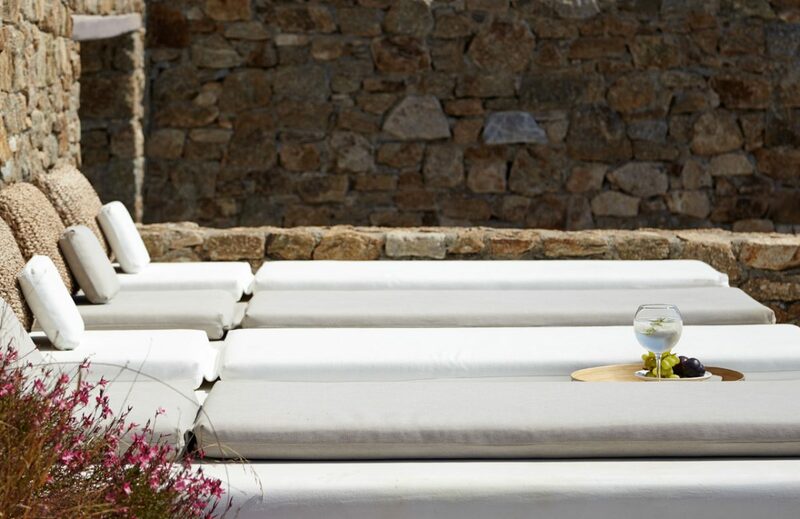 There is a built table under a shaded pergola suitable for epicurean meals or relaxing moments. 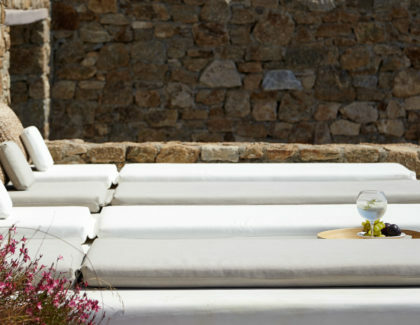 There is also a barbecue and an external bar on the pool area. 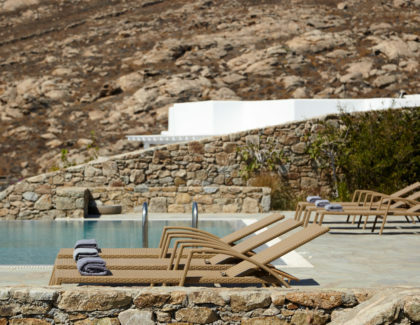 Elia White Residence is part of the luxury villas portfolio of fantasiavillas.com, helping you experience the best holiday villas in Mykonos. 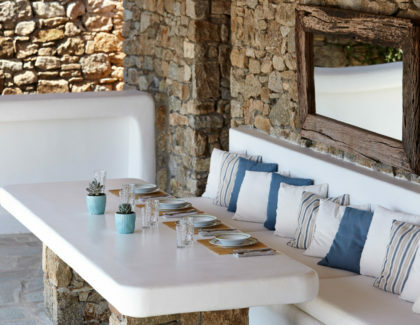 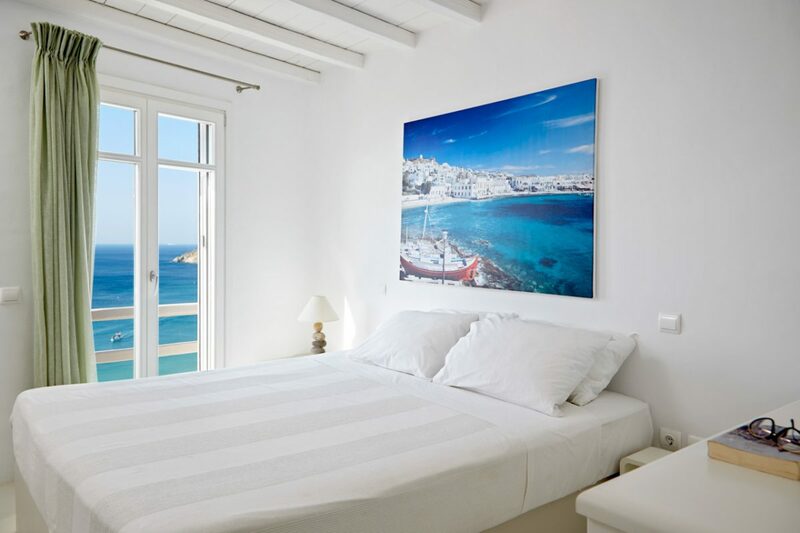 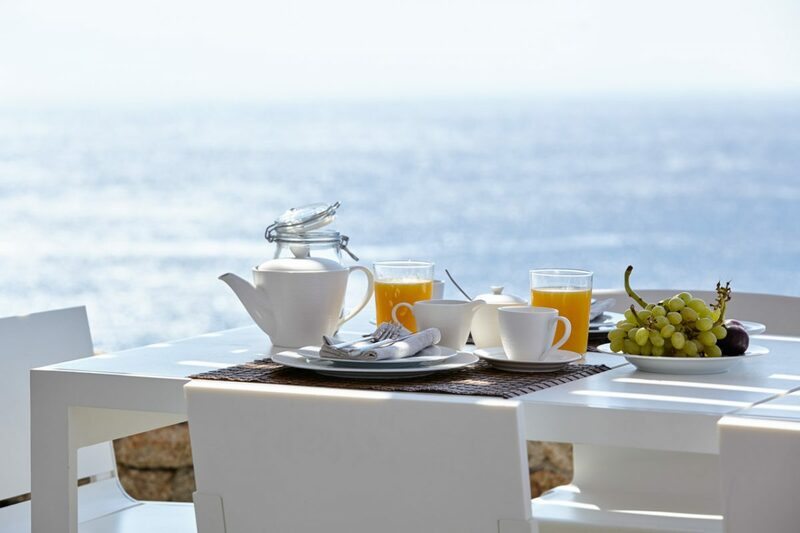 Contact a representative of Fantasia Villas today and enquire about Elia White Residence, one of the luxury villas in Mykonos, or suggestions for more luxury villas for rent in Greece.